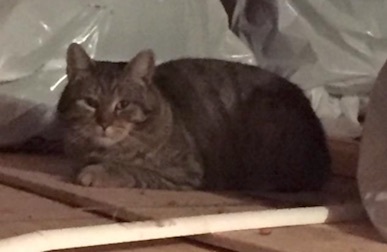 UPDATE : This kitty has left the shed, but if anyone recognizes him or is looking for him/her, please leave a comment! 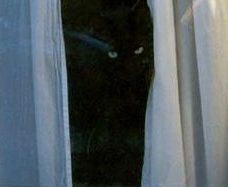 Bonjour, je recherche mon chat disparu qui est semblable. Avez vous pu constater si il etait polydactyle sur les pattes avant?